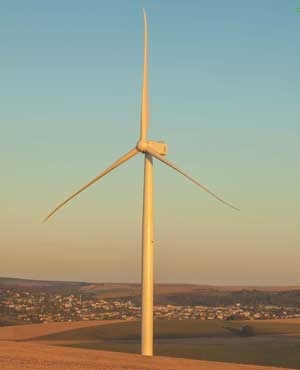 Cape Town – Government’s plan to achieve 30% clean energy by 2025 is questionable, given that the department of energy (DoE) only allocates 5% of its budget to clean and renewable energy sources, Parliament's oversight committee on energy has said. The committee issued a statement on Tuesday afternoon following a briefing by the DoE on its annual performance plan for the 2018/19 year. According to the DoE’s presentation, R1.2bn has been allocated to clean energy over the medium term. The clean energy programme focusses on the development and implementation of clean and renewable energy initiatives. Nuclear energy had been allocated R2.6bn. Both budgets have been reduced. The department’s electrification and energy programme and project management had been allocated R17.4bn, or 77% of the DoE's R22.6bn budget. This programme, which is focused on energy access, has however also had its budget reduced. The committee has publicly supported the signing of 27 deals with renewable independent power producers, saying the deals are in line with National Development Plan. Committee chair Fikile Majola stressed the importance of Energy Minister Jeff Radebe, who was not present at the meeting, personally briefing the committee ahead of the DoE's budget vote in May. The committee had requested follow-up meetings with the minister to address immediate issues such as the integrated resource plan, the new nuclear build programme and the central energy fund, among other things. Radebe previously said in a written response to DA MP Gavin Davis on the future of the nuclear programme, that Cabinet would make the final decision. The DoE has the responsibility to report to Cabinet on the requests for proposals, over which it will decide.